Here is a fun deal! 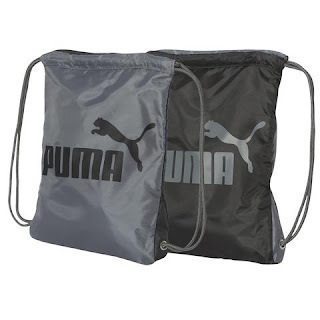 Hurry over because right now these PUMA Forever Carry Sacks are Buy One Get One Free at just $7 (Reg. $30) when you use code PZY7 at checkout! Shipping is FREE! 2 PUMA Forever Carrysack Drawstring Bags For The Price Of 1: 100% polyester; Interior zipper pocket; Heavy gauge rope cinch closure; Size: 14 1/2" x 17 1/2"